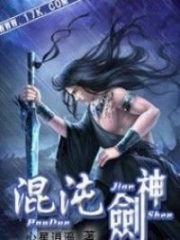 You’re reading novel Chaotic Sword God Chapter 1475 online at LightNovelFree.com. Please use the follow button to get notification about the latest chapter next time when you visit LightNovelFree.com. Use F11 button to read novel in full-screen(PC only). Drop by anytime you want to read free – fast – latest novel. It’s great if you could leave a comment, share your opinion about the new chapters, new novel with others on the internet. We’ll do our best to bring you the finest, latest novel everyday. Enjoy! Jian Chen devoted himself to the study of Martial Soul Force. He hoped to find a method to use in the shortest amount of time possible so that he could push its power to the limits. To Jian Chen, Martial Soul Force was a huge treasure box. He possessed the treasure box, but he lacked the key to open it. If he could find the key and open the treasure box, he would be able to kill Receival experts easily. Even if he was facing a Returnance expert or several of them, he could heavily injure all of them in a single moment. This was because his soul had already reached the Returnance realm According to fairy Hao Yue's description, it was possible for him to demonstrate a similar prowess. At that time, the only person who would be able to threaten him from the foreign world would be the Spiritking. Martial Soul Force was the most direct way to power up Jian Chen right now. It was easier than strengthening the Way of the Sword or his Chaotic Body. Although he already possessed the Azulet swords, every step on the path of the Way of the Sword was extremely difficult to take. Even with the Comprehension Tea, it would be very difficult for him to reach a similar level of comprehension as the Spiritking, even if he made all of the tea. If he could reach the same level of comprehension as the Spiritking, just the Way of the Sword would not be enough for him to face the Spiritking. Martial Soul Force, which specifically attacked the soul, was his greatest weapon. With his soul at Returnance, his Martial Soul Force might not have been enough to injure the Spiritking, who was one cultivation level higher, but it could still cause a certain effect. In an intense battle, it was often a slight careless mistake that would turn the situation around. As Jian Chen busied himself with Martial Soul Force, Yang Lie, Guihai Yidao, and Feng Xiaotian did not sit around either. With the three of them in charge, they gathered all the Saint Emperors in the world in waves and taught them formations from the Saints' World, guiding and demonstrating them. These formations were only part of the lowest level in the Saints' World, but they easily surpa.s.sed Saint Tier on the Tian Yuan Continent. When several Saint Emperors created a formation, they were unable to harm Receival experts but could keep them trapped for a few days without a problem at all. The power of the formation would increase when more people took part as well. As Yang Lie, Guihai Yidao, and Feng Xiaotian appeared before the Saint Emperors more often, their true ident.i.ties were gradually revealed to the experts of the four races. The status of the protector clans immediately increased as a result, becoming peak organizations only second to the Flame Mercenaries, which were personally lead by Jian Chen. On the Beast G.o.d Continent, the white tiger remained on the ninety-ninth floor of the Beast G.o.d Hall accepted its legacy. The white tiger had no idea what was happening outside. The current Beast G.o.d Continent remained under Cangqiong's control. Even with the appearance of many new Saint Emperors, they were still unable to shake his position. Tie Ta boldly sat on the throne within the War G.o.d Hall on the Wasteland Continent. He shone brightly with light, mixing with the light of the divine hall. He seemed to be undergoing some type of fusion. The presence from Tie Ta was clearly much more powerful than a few years ago. His strength had rapidly increased over the years. Even though his strength still remained at Receival, if it was measured using the standard of the Tian Yuan Continent, he had already reached late Receival. His battle prowess was even greater. He was now able to take on Returnance experts. "If only I could fully control this War G.o.d Hall... The toughness of this divine hall just shocks me. All I need to do is place this divine hall in front of the tunnel and block then entrance. Then the people from the foreign world wouldn't be able to come over. It's just a pity that I can only use the power of the divine hall to a.s.sist my cultivation due to my current strength. "Even uncle Aergyns could have avoided death with this divine hall. All he needed to do was hide in here. Even if the Winged Tiger G.o.d from ancient times had surpa.s.sed the limitations of a lifespan and could live as long as the world remained, he would still not be able to smash through this divine hall in a short period of time. It's just that pride of the warring G.o.ds stopped uncle Aergyns from hiding in here, making him more willing to die in battle instead." Tie Ta sat on the throne as he murmured to himself. After becoming the war G.o.d of the Hundred Races, Tie Ta seemed to have undergone a baptism, making him even more mature. Even though he was still the same, his mind had morphed. He was no longer naive and sometimes stupid like before. The great elder of Mercenary City, Tian Jian, had still not appeared. He continued to refine the supreme divine hall that Mo Tianyun had left behind. The divine hall was extremely special since Tian Jian needed this much time to refine it even with his strength as a Saint Emperor. The president and the grand elder of the Radiant Saint Master Union remained in seclusion as well. They used their powers as Cla.s.s 8 Radiant Saint Masters to revive the Ruler and King Armaments Jian Chen had left with them, helping the Tian Yuan Continent become a little more powerful in preparation for when the World of Forsaken Saints attacked. Regardless of whether an expert was from the Tian Yuan Continent, the Beast G.o.d Continent, the Wasteland Continent, or the sea realm, they were all making preparations for the upcoming battle. Only weaker fighters, who would not be of any use in the battle, continued their easy-going lives. Very few of these fighters understood the strength of the foreign world. They only knew that their world had managed to stop an invasion from the World of Forsaken Saints and had killed several hundred of their Saint Emperors, attaining a glorious battle record. As a result, they believed that the threat of the foreign world no longer existed. As time went on, their impression of the foreign world gradually faded from the shock, horror, and so on to just a memory. In the end, the foreign world became a simple topic of conversation they would have over a meal. In the blink of an eye, another five years pa.s.sed. It had been six and a half years since Jian Chen had fended off the foreign Receival experts. During that period of time, Jian Chen had completely vanished. He had remained in seclusion within the cave near Mercenary City. Other than spending the first one and a half years reviving Saint Weapons, Jian Chen spent this entire time studying Martial Soul Force. Unfortunately, he might have overestimated his comprehension abilities or underestimated the wonders of Martial Soul Force. Not only had he failed to find a true method to use Martial Soul Force within those five years, but he had even wasted quite a few fifth grade Comprehension Tea Leaves. "Martial Soul Force is overly wondrous and mysterious. I require an extremely long amount of time to deduce a method to use it. This is something that cannot be achieved in just a few short years. The collapsed tunnel is reforming right now. It may not have completely stabilized, but within three years at most, Returnance experts will be able to pa.s.s through," Jian Chen opened his eyes in the gloomy cave. They glowed like two glistening gems. "Three years. Three years at most. 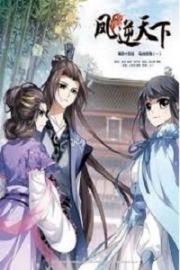 I can't keep wasting this valuable time on Martial Soul Force," Jian Chen softly murmured before standing up. He gazed in the direction of the distant sea realm. "Maybe the only method for me to increase my strength is to go to the sea realm," Jian Chen said with a deep voice before leaving the cave he had stayed in for six years. He headed toward the sea realm. You're reading novel Chaotic Sword God Chapter 1475 online at LightNovelFree.com. You can use the follow function to bookmark your favorite novel ( Only for registered users ). If you find any errors ( broken links, can't load photos, etc.. ), Please let us know so we can fix it as soon as possible. And when you start a conversation or debate about a certain topic with other people, please do not offend them just because you don't like their opinions. You're reading Chaotic Sword God Chapter 1475. This novel has been translated by Updating. 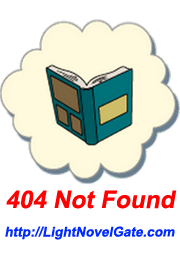 Author: Xin Xing Xiao Yao already has 2647 views. Current Time is Apr-23-2019 00:09:12 AM.